Of all the S/S 17 fashion trends, the 1980s comeback is at the top of the list. 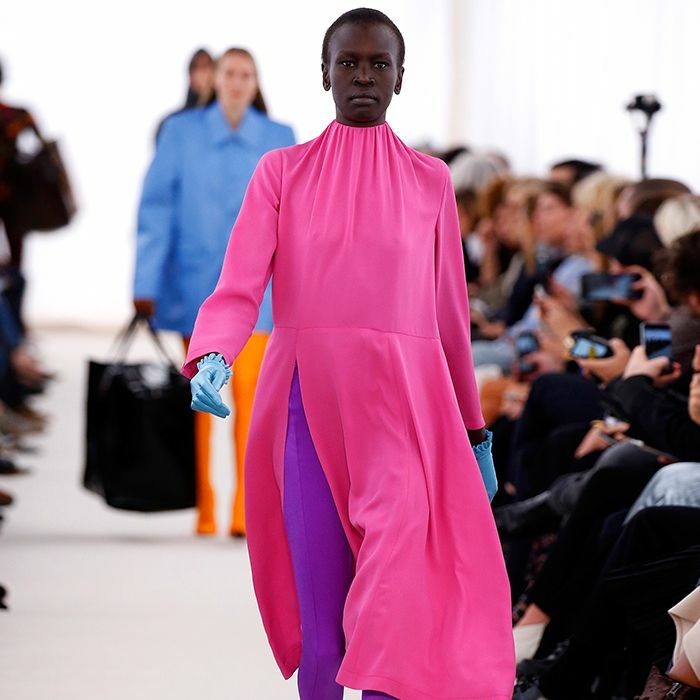 The thought of filling closets with '80s classics could be enough to make you quiver in your Isabel Marant boots, but there are two bits of good news to ease your worried minds. First, designers have streamlined and toned down the idea for real life. We promise you won't be a hot mess of hair spray, blue eye shadow, shoulder pads, lamé and giant bows; instead, you'll most likely opt for a one-shouldered blouse with door-knocker earrings and your regular jeans. Second, once you start doing a little research, more and more approachable '80s looks pop up, many of which still feel relevant today. In fact, Pinterest has seen an 87% increase in '80s fashion pins, which says something. My number one discovery when it comes to '80s style? Sade. As in the "Smooth Operator" singer my parents would listen to on repeat. As in the coolest, most understated and underappreciated style star of that decade. Sade (real name Helen Folasade Adu, OBE) had a fashion sense that was as alluring as her music, and it revolved around plain pieces like backless bodies, ever-present gold hoop earrings, black ballet pumps and treggings. Even her hair was elegant, and after trawling through archive images, we're certain you'll agree that her elegant '80s getups feel 100% current. So if you're looking for a chic way to do the '80s trend (and a new icon to reference in conversation), keep reading. Style Notes: You could easily think this bodysuit and high-waisted trouser combination was only just photographed. Style Notes: A flash of stomach always looks most sophisticated when looser-fit clothes are in play. Style Notes: We could totally imagine Bella Hadid in this off-the-shoulder sweaterdress. Style Notes: Even in a more flamboyant outfit, Sade still keeps things simple. Style Notes: Did you get the backless top–and-earrings memo? It's a good one. Style Notes: Red lipstick, a belt and ballet flats instantly up the ante of a basic shirt-and-trouser pairing. Style Notes: The key takeaway? Invest in your favourite accessories, and wear them with everything. Style Notes: Even her off-duty vibe was cool. This oversize leather jacket and ski-pant formula is genius. 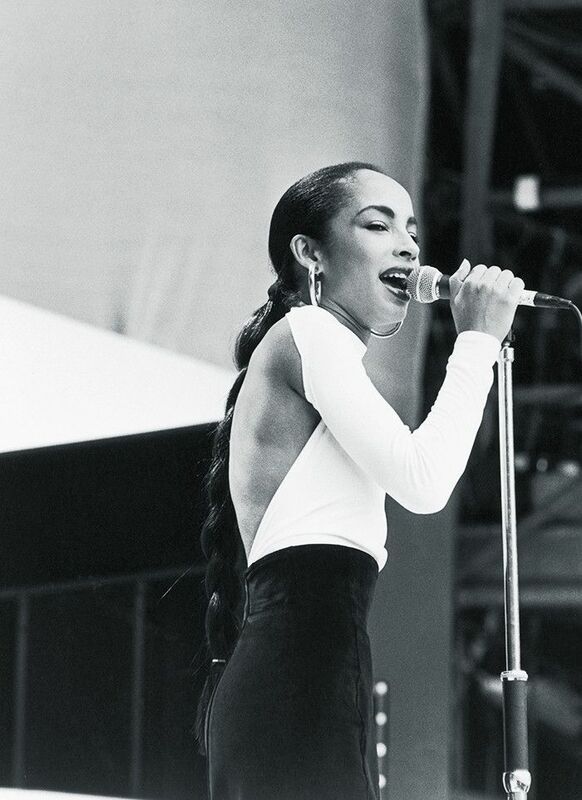 No Sade outfit would be complete without hoops. Bodysuits are once again a basic part of our wardrobes. Wear these with a knotted shirt for the full effect. These look more expensive than their price tag. Swap your regular biker for this '80s-inspired piece. This will look chic worn loose and long over leggings. The most flattering treggings going. Next up, the S/S 17 fashion trends you should have on your radar.